Its unique character makes Villa la Madonnina the perfect place for your vacation. An enchanting environment will make your dream vacation come true with lasting memories. 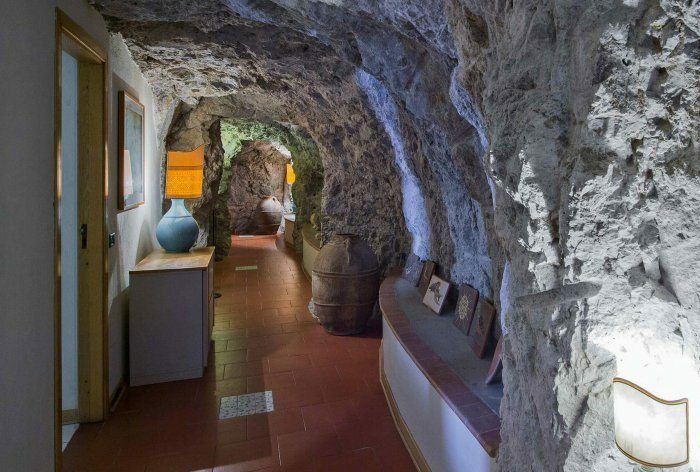 Stay in an upscale Italian family home with original paintings and sculptures. Spend your time in a large living room with a comfortable seating area and dining table or in the cosy drawing room with an antique fireplace. Prepare a delicious meal in the well-equipped kitchen. 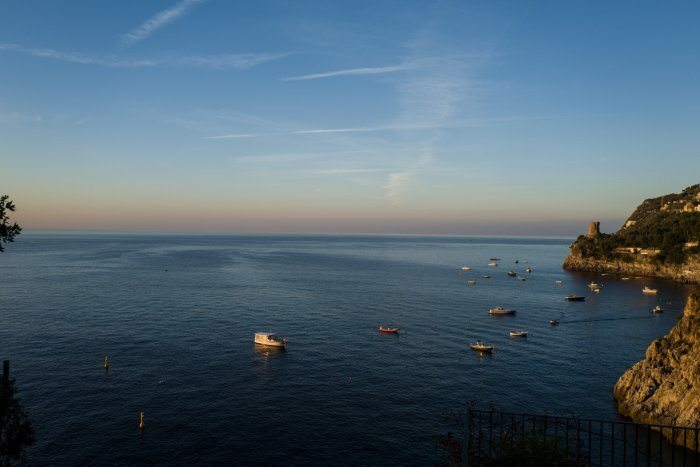 The mild climate of the Amalfi coast invites you to spend your time in the fresh Mediterranean air. In our villa you have plenty of space to enjoy the sunshine, relax in the shade, wine and dine, listen to the sound of the sea and go swimming in the pool or in the sea. We want to help make your vacation an unforgettable experience by services and amenities for your comfort, e.g. fill the fridge, pickup service for a restaurant, a booklet with helpful information and recommendations. Ask a chef to cook for you. 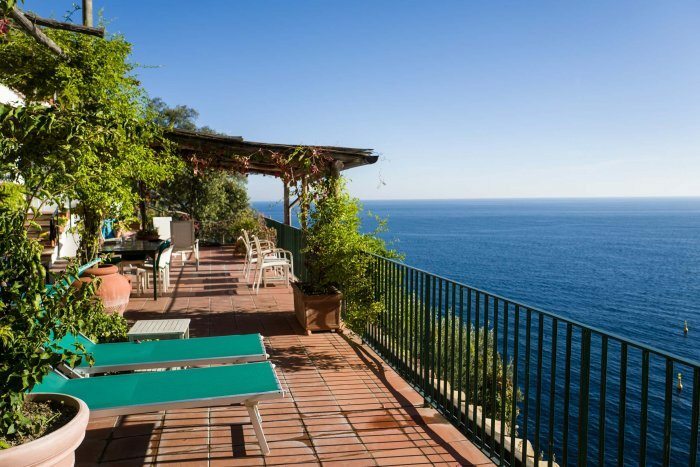 Villa la Madonnina is set like a diamond in a magnificent position, nestled close to Praiano among the beautiful inlets of the breathtaking Amalfi coast. 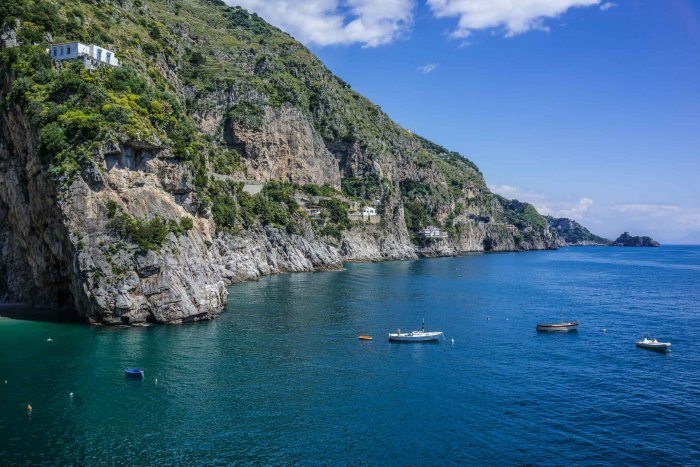 It is ideally located to visit the romantic towns of Positano (8miles/11km), Amalfi (5 miles/8km) and Ravello and to set out for excursions to Capri, Pompeii, Paestum, Sorrento and Naples. 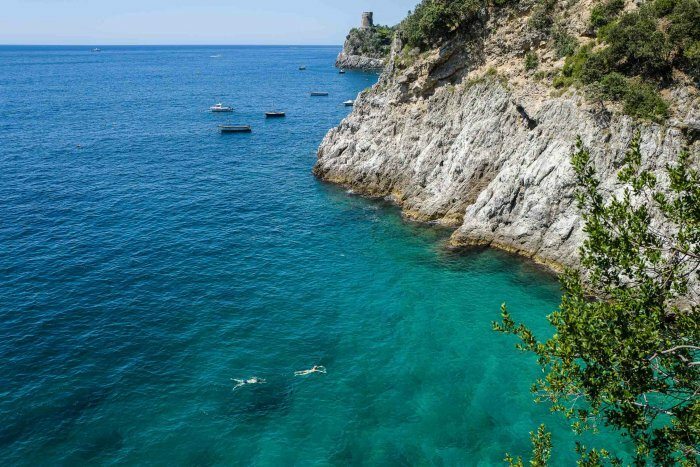 Once an ancient fishing village, today Praiano is a lively seaside resort. 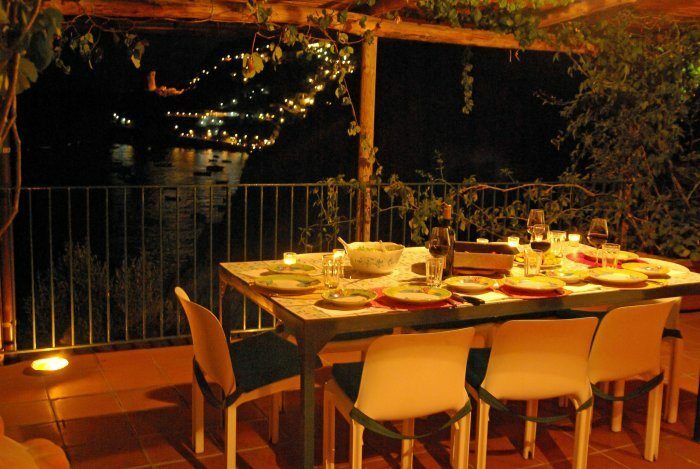 In its Marina di Praia there are several charming Italian restaurants within walking distance from the villa. Praiano is known for its mild climate, with gentle winds in the hot season and presents itself to the sea as a cascade of white houses on a green, flowering slope. The closest airport is Napoli (Naples) – 75 km (50 miles) 1,5 – 2 hrs by car. From Roma (Rome) it is about 290 km (180 miles).